​As spring approaches, us Brits are heading to their gardens to cut grass, root out weeds, and plant fruit, veg, and flowers. The joys of flora and fauna often come with a heavy toll to the human body. Stiff, sore shoulders and aching lower backs are almost par for the course for gardeners. As much as horticulture is a wonderful pastime, it’s better to know how to till the soil without pulling a tendon. 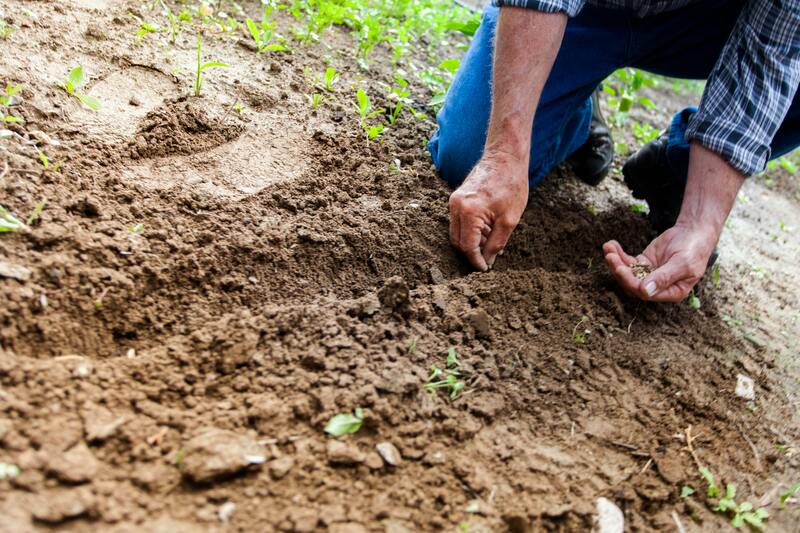 Here are some suggestions to make gardening a pain free experience. Before you head to the lawn, do a warm up. Spend a few minutes warming up your body and increasing the blood flow to your muscles by doing some quick marching on the spot or brisk walking, arm circles and some squats, these movements will get your muscles ready for the strenuous tasks ahead. When you are done for the day, do some gentle stretching. This helps to reduce muscle tension and lessen the impact of the heavy work involved in keeping the garden ship shape. As far as possible, try to keep your back straight as bending for a long time will almost certainly lead to lower back pain. Try to maintain a good posture when mowing the lawn and consider using tools like post hole diggers and bulb planters to reduce the need to bend. On your next trip to the nursery, look for tools that take away the need to kneel and bend. It’s easy to forget that gardening is a form of manual labour much like construction. Try to think with the mindset of a labourer and look for tools that reduce body stress and strain. Break Up Your Gardening Tasks And Take Frequent Breaks. Take regular breaks. By doing so, the body has more time to recover, particularly from gruelling tasks like weeding and digging. Don’t spend too long on one task. Dig for 10 minutes, take a break, have a cold glass of water, then do a bit of raking. The important thing is to avoid spending a long time in one posture. Dig Without Doing Your Back In. Stand with your back straight and either your right or left leg forward. Keep your arms close by your sides. When moving soil from one place to another, turn your body in that direction. Use The Proper Stance For Weeding And Planting. Invest in a good quality kneeling pad and kneel down for weeding and planting. Switch hands regularly so one hand is supporting your back and the other weeding and planting. Avoid Strain When Bending And Carrying. First of all, don’t work alone! Ask a friend or a family member to help out. Like a labourer, use the squat position to lift heavy items. Always start squatting, bend your hips and knees, and keep your back straight. Lift items in front of you, not to your left or right. Turning while lifting can lead to back disc injuries. Keep your hand tools on a belt so you don’t need to bend down to pick them up. Don’t stand stretching your arms above your head. Get a ladder and move it around to work on different areas. Telescopic pruners and loppers are also a god send in this respect! Once again, bend your hips and knees, not your back. Turn your body when you need to rake to your left or right. Reposition yourself regularly so you are close to your rake. Gardening is good exercise. It can be considered a workout. It’s certainly tiring and a cause of pain if not done properly. Before going for a run, or a workout in the gym, a warm-up is necessary. It’s also necessary to do some post-exercise stretching. Before you head to the lawn, do a warm up. Spend a few minutes stretching and getting your muscles ready for the strenuous tasks ahead. When you’re done for the day, do some more stretching. This helps to reduce muscle tension and lessen the impact of the heavy work involved in keeping the garden shipshape. What To Do If You’re In Pain. First and foremost, if the pain is unbearable and doesn’t stop, head straight to your nearest hospital. If the pain is moderate, ice or heat treatment should be enough to relieve the pain. An ice pack is generally considered better for inflammation. For sore arms, shoulders, or a painful lower back, try applying an ice pack. Over the counter anti inflammatory gel can also be useful tool too. Gardening is a pleasurable and rewarding pastime. It’s even more enjoyable without pain! Remember, do your best not to bend your back while working in the garden. The bottom line is to work smart and be careful. Use the right tools and don’t overwork yourself, if you find you’ve overdone it and you know where to find us!